Katherine DeFonzo is a student at Fordham and an HNN intern. Prudence, charity, obedience. The first thing that comes to mind might be important virtues for medieval monks, or they might simply be the qualities that any parent hopes to teach his children. Yet they are in fact the values that were advocated by the presider at a nineteenth century Masonic initiation ceremony (824). Although the Freemasons are often considered members of a secret society, a more accurate description of the organization would be a fraternity. Individual chapters of Masons are known as lodges, and a Grand Lodge oversees the smaller lodges in a given area. Unlike individual chapters of college fraternities, which usually adhere to standards set forth by a larger national organization, individual Grand Lodges are independently run and do not adhere to any international standards. Masons are initiated into the organization by completing a series of degrees, and important officers include the president and master of ceremonies. It was the organization's use of certain symbols and the secretive nature of their initiation ceremony that shrouded the organization in mystery. Yet not all of the symbols associated with the Masons are used solely by them. The pyramid with the eye on the one dollar bill? Not necessarily a strictly Masonic symbol. And the 33 on Rolling Rock beer bottles that was thought to refer to the thirty-third degree of Scottish Freemasonry? A printing error. While the precise origin of Freemasonry is not certain, it seems that the organization emerged out of medieval stonemason guilds. Many guilds during this time were formed by professionals who were able to work and remain in one town or city for most of their lives. This was often not possible for stonemasons, who traveled from place to place in search of new and promising building ventures. 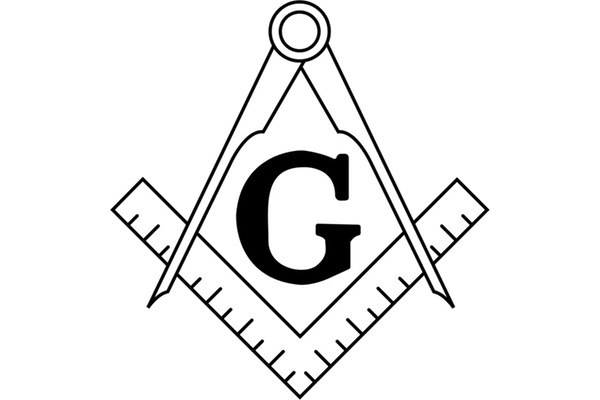 Therefore, these masons, many of whom were illiterate, began using a secret password to identify themselves as members of a guild that needed to be unusually far-reaching. The first known document that discusses Freemasonry is the Regius Poem, a six hundred year old verse poem which explores the origins of masonry as a craft and lists the qualities that a good mason should possess. Above all, this poem reveals the importance of loyalty in the eyes of Masons. The year 1717 marked the founding of the first Grand Lodge in London. Grand Lodges followed in Ireland in 1725 and Scotland in 1736. Some believe that such lodges were meant to provide spaces where individuals could meet without fear in a kingdom that was still reeling from the religious upheaval of the English Civil War. In addition to serious meetings, socializing, forming friendships and taking part in philanthropic activities were essential components of the Masonic experience. It is likely this openness to others and their ideas that attracted renowned philosophers and writers such as Voltaire, John Locke, and Johann Wolfgang von Goethe, as well as George Washington, Paul Revere, and Benjamin Franklin, who was the head of the Pennsylvania chapter in America. The profoundly influential Supreme Court Justice John Marshall was also a Mason. Since the beginning, Masonic organizations have often been at odds with organized religion. One of the chief objections of religious officials was that mingling with members of such varied backgrounds would lead Masons, who inclined toward cosmopolitanism, to disregard matters of religious doctrine. Religious officials were also concerned that the acceptance of Freemasonry could lead to the formation of potentially subversive and dangerous secretive organizations in the future. Interestingly, Freemasonry was first condemned by Protestant nations, and the Catholic Emperor Francis I of Germany took steps to protect the organization in his realm. Support from the Holy Roman Emperor nevertheless did not prevent Pope Clement XII from issuing a papal decree denouncing the Masons in April of 1738, and the Catholic powers of Spain, Portugal and Italy soon implemented laws curbing Freemasonry. Papal documents reaffirming the Catholic Church's opposition to Freemasonry were published by Bishop Joseph Ratzinger, who would become Pope Benedict XVI, as recently as 1983. The opposition of churches is somewhat ironic considering that the only requirement to become a mason is that the individual profess a belief in some Supreme Being. The discussion of one's religious and political views is prohibited during meetings in order to prevent disputes among members. It is also ironic given the Masonic connection between stonemasonry and the building of Solomon's Temple. Nevertheless, the objections of religious organizations did not entirely prevent lodges from expanding. The willingness of lodges to admit individuals of many different religious backgrounds would have been appealing for members influenced by the ideas of the Enlightenment. Women remain unable to formally become members of many lodges; nevertheless, their influence in society should not be overlooked. In France, lodges of adoption first offered female relatives of Masons the chance to obtain degrees similar to those obtained by their husbands or fathers. These lodges would become the forerunners of mixed lodges and eventually lodges meant exclusively for females. While Mason women were by no means given complete liberty to defy set gender roles in these early lodges of adoption, they were give new freedoms that were seen as compatible with their unique identity as women (785). For example, women were sometimes responsible for directing induction meetings (803), and bylaws issued by the Grand Orient Loge in France did not distinguish between rituals for men and women (806). Although participation in Masonic social activities became a chief way of being involved for many women living after the reign of Napoleon, many para-Masonic orders supported these lodges (817). In 1894, Maria Deraismes successfully created a new obedience in which women and men would be initiated in the same way (825). The efforts of Freemason women have in many ways set a precedent for modern women's movements (831). In the early years of the United States, common people were made more wary of the Masons after Captain William Morgan disappeared after being dragged into a carriage upon his release from a New York prison in 1826. It was rumored that Morgan's captors were Masons who feared that Morgan and a fellow publisher, David Miller, planned to publish an unflattering "tell-all" about Masonic corruption. In the wake of the increased suspicion and hysteria that resulted from Morgan's disappearance, the Anti-Masonic Party was formed, and candidate William Wirt became the first third-party presidential candidate in United States history. Despite this period of fear in the United States, Masonic lodges around the world continued to gain members, and the establishment of military lodges was an especially efficient way of facilitating the spread of Freemasonry to other places throughout the vast British Empire. The appeal of belonging to a Masonic lodge can readily be understood when one considers that many members lived abroad in colonies such as India or Australia: membership provided an immediate source of support for anyone living so far from home (244). There are as many as six million Masons in the world today. There have been and continue to be occasional disputes between competing lodges, and three of the most prominent French lodges are not yet recognized by the United Grand Lodge of England. Certain lodges are more secretive than others: in France, Masons tend to focus more on their interior spiritual journeys and are less inclined to openly admit and discuss their membership. Still, while lodges around the world operate according to different rules, their involvement has been invaluable in the establishment of schools, orphanages, and other important public institutions. Lodges continue to guided by the Enlightenment principle of respect for human dignity that the earliest lodges hoped to embody. This is one requirement that no Mason would not want to keep secret.